Give the World’s Greatest Dad the World’s Best Authentic Signed Memorabilia from Upper Deck Authenticated on Amazon.com! 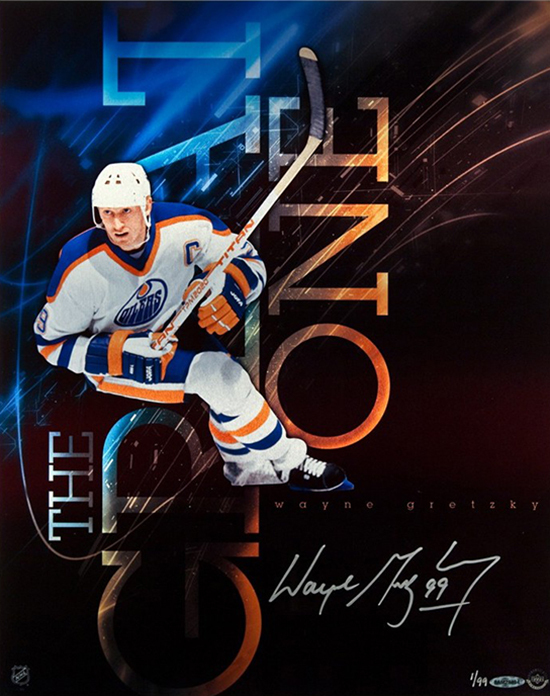 Your Dad always wanted a signed Wayne Gretzky collectible, but instead he made sure you had a bounce house on your birthday. He saved up for it, but then you needed braces. He got closer to getting it, but instead helped you out with your first car. He thought he was close again, but then came your college. And when he was just about to do something for himself, your Dad helped you out with your wedding and down payment for your first home. This Father’s Day it is time to give back to Dad with the World’s Greatest Memorabilia exclusively from Upper Deck Authenticated. 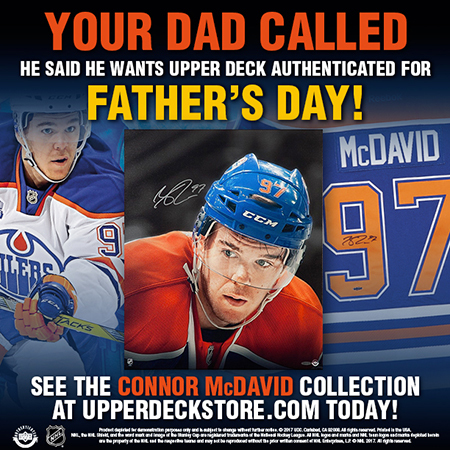 Connor McDavid signed memorabilia is available exclusively from Upper Deck Authenticated! Give the gift of hockey’s brightest young star this Father’s Day. Upper Deck Authenticated collectibles are easier than ever to order thanks to THE UPPER DECK AUTHENTICATED STORE ON AMAZON.COM! Check out over 500 incredible gifts for dad that can be delivered in time for Father’s Day! Many of these items are very limited, so don’t delay in ordering today! It’s simple; Upper Deck Authenticated signed memorabilia makes the best gift for dad on Father’s Day! Customers in Canada may also want to check out 450 Sports or Cardboard Connection! Customers in the USA may also want to check Game Day Legends and Cardboard Legends! As always, fans can always check out Upper Deck Authenticated’s online store as well at UpperDeckStore.com for great gifts for dads and grads! 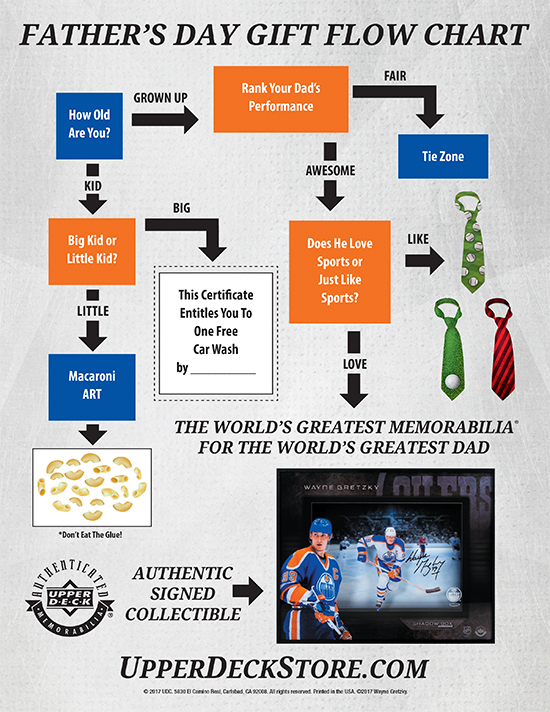 Give your “great” dad the gift of “The Great One” this Father’s Day!